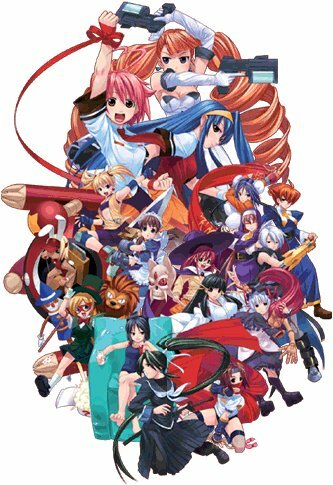 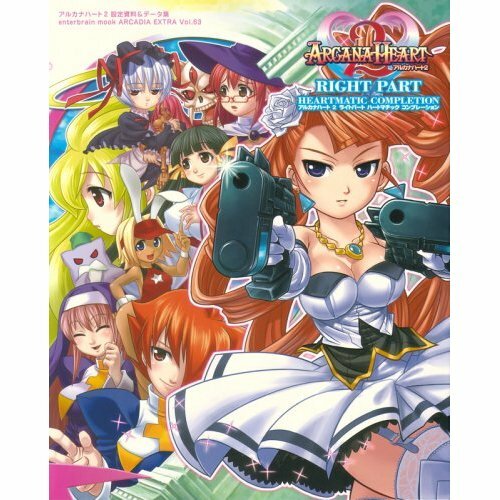 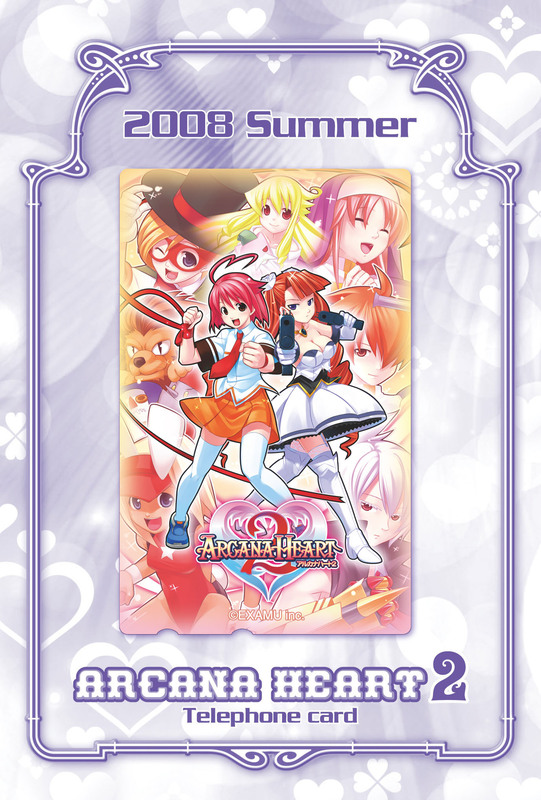 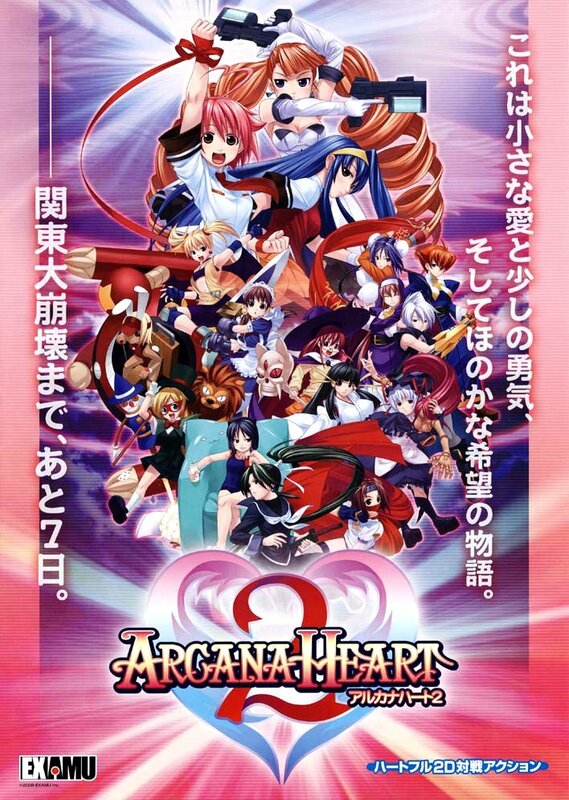 ABOUT: The sequel to the female-only 2D fighting game, Arcana Heart, Arcana Heart 2 was first announced at AOU '08 Amusement Expo and was released in Japanese arcades on March 21st, 2008. 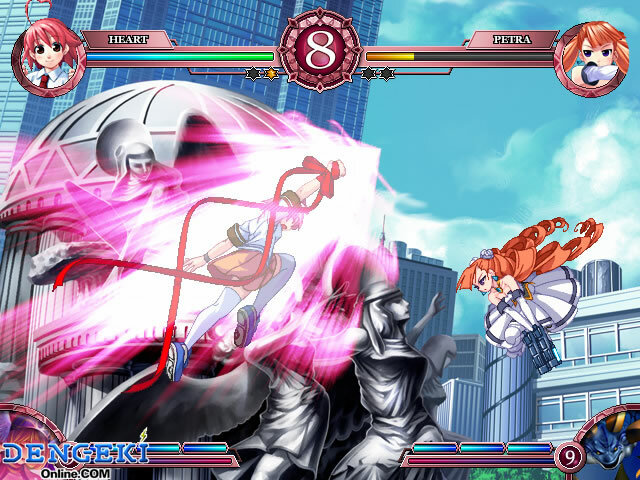 The game uses the new EX-BOARD arcade platform by Examu and was the first game to be released on the system. Petra's got a nice pair of.... guns. 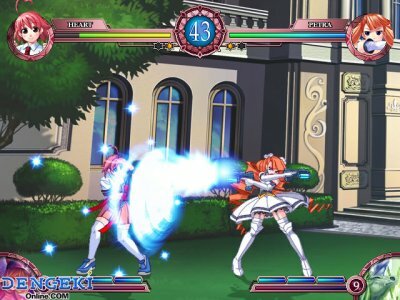 Arcana Heart 2 introduces 8 new female characters, each with unique Arcana abilities. 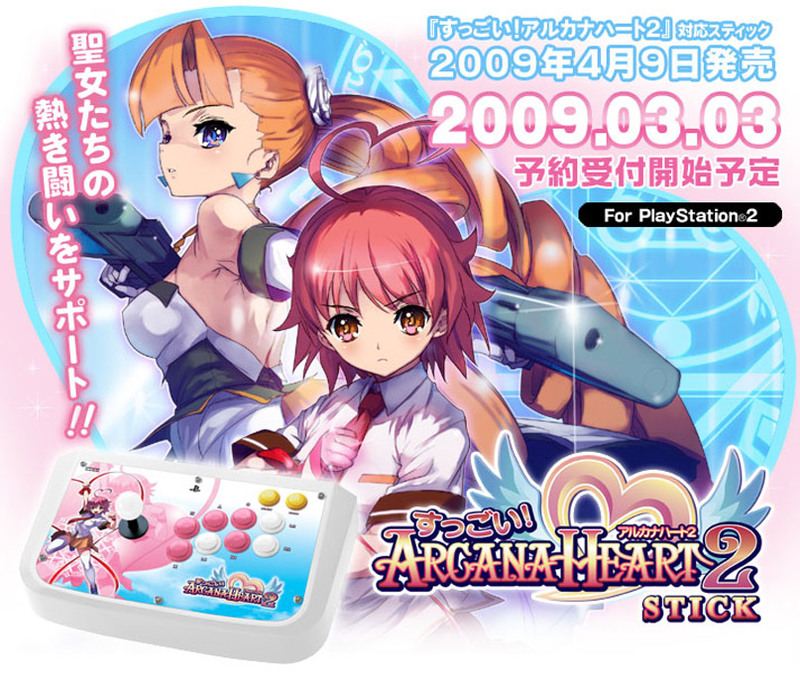 New gameplay additions such as Arcana Blast, Arcana Homing and Critical Heart were also added to the system. 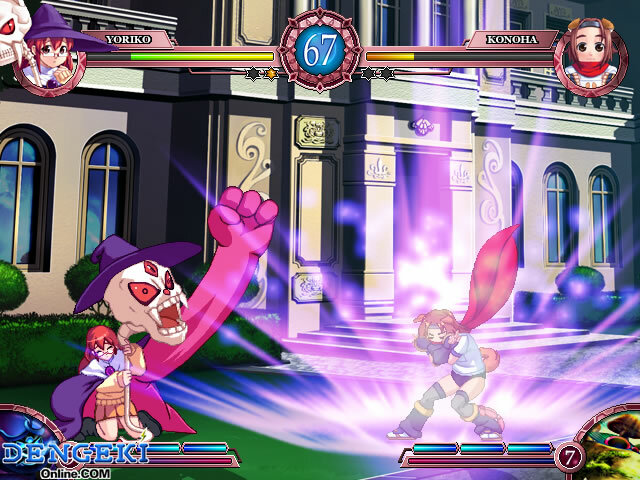 Arcana Blast costs one power meter and enables a fighter to be invulnerable temporarily. 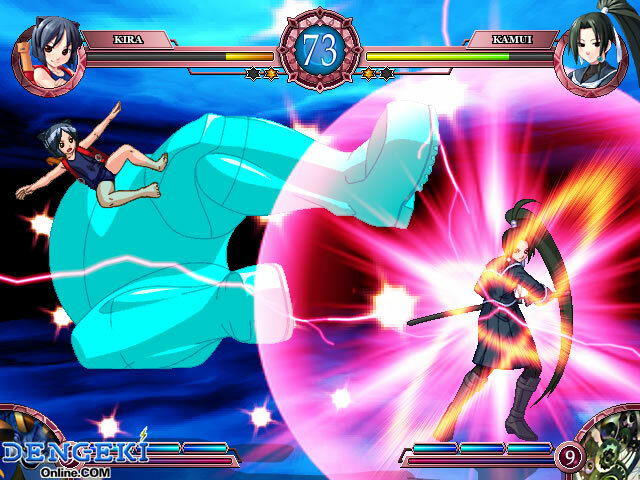 Arcana Homing costs one meter of the homing gauge and allows players to split and perform a Homing Cancel. 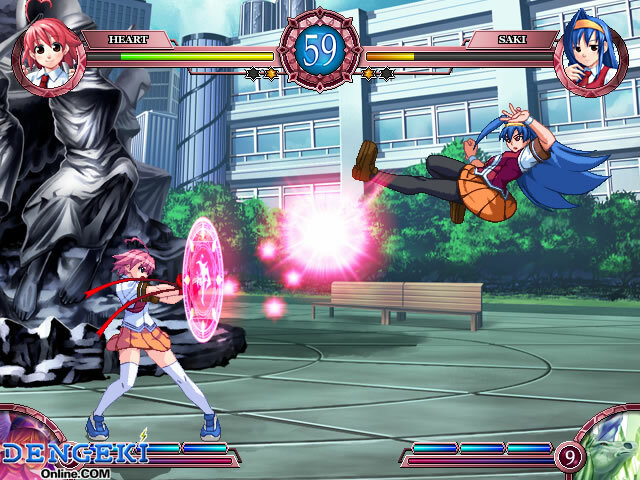 Finally, Critical Heart consumes all 3 meters of the power gauge and enables the use of a powerful super move when the fighters are at a specific distance.